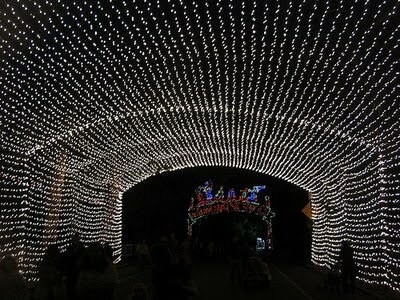 One of the places I take the kids every year for the holidays is the DWP Festival of Lights at Griffith Park. It’s a must if you live in the Southern California area and well worth the drive. We have been a couple of times and have decided to begin visiting it as a new family tradition. It’s a really unique Angeleno experience. 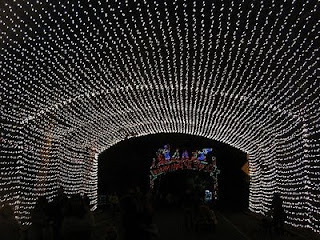 The section of Griffith park runs about one mile with the displays of lights along Crystal Springs Drive. The displays even feature music. It is a must see. I’m planning on visiting sometime this weekend. If you will be attending this weekend and possibly beating the crowds make sure to bring a good pair of walking shoes, a jacket, and a stroller for the little ones. Most of all, bring your holiday spirit. If you are planning to be in the Los Angeles area this holiday season include this on your list of things to see and do. The festival will be vehicle from the kickoff date, Thursday Dec 3rd until December 17th. We have walked it as a family before and loved it. Visitors may park at the L.A. Zoo parking lot or the parking lots on the south side of the festival near the Merry-Go-Round, or the lots near the pony rides. Parking will be on a first-come, first-served basis. Walkers are encouraged to wear comfortable shoes and to dress warmly to walk the full one-mile route each way. It is also recommended that walkers have outerwear, as it can get chilly. Shuttles will assist in bringing guests from the remote parking lots to the route. I would bring a thermos with hot chocolate and if you have little ones a stroller is a must!!! The festival will return to its traditional configuration on December and continue until December 30, 2008. Automobiles will have access to the festival route from 5:00 p.m. to 10:00 p.m. Pedestrians may also walk on the walking path and visit the festival, Shuttles will be available December 18th through 30. I can’t rave enough about this event. If your kids love Christmas lights and music and really who doesn’t right??? ?Make sure to take them. Trust me on this, they will love it! for additional information click here. 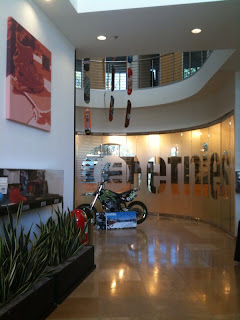 Two weeks ago, I had the opportunity to tour Etnnies, headquarters in Lake Forest, with other mom bloggers. It was a fun experience to learn all about how these amazing shoes are made and the research and tests that go into the making of Etnies. My two kiddos, are going through shoes like crazy right now. It seems that they are outgrowing quickly and it can be expensive to keep buying new shoes. Etnies, has come up with a solution to this by introducing, “Grow with Me” shoes. The “Grow with Me” shoes, extend the length of the wear by removing the insert that comes with the shoes and it gives your kiddos an extra half size. 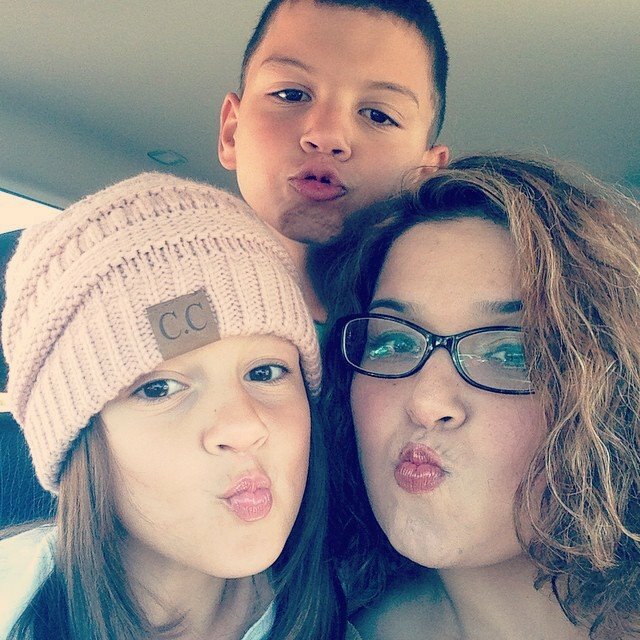 I snatched up a couple of pairs for my family and my kiddos love wearing them. I love knowing that when they are fitting a little snug, I can remove the insert and they can wear them for a little longer. 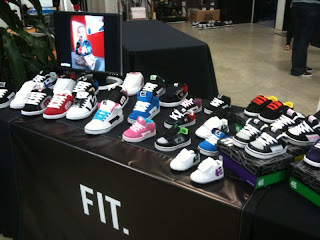 Etnies is doing a special promotion at Etnies.com. All you have to do is enter the promotional code of “ETNIES FAMILY” and from November 17th through December 4th, you’ll receive $10 off every $40 you spend, plus free shipping! It’s an amazing deal. If you’ve got Toddlers, be sure to check out their “Grow with Me” shoes. I hope you all had a wonderful Holiday weekend! We had a great time in the mountains (well let me clarify, the rest of my family did as I was/am battling H1N1-not fun! ) and can’t wait to post about it. We spent sometime in Wrightwood and most of our time in Big Bear. The town received over a foot of snow on Saturday. The family had a great time playing in the white stuff. I wanted to start the back to work/school Monday with some good news. The winners of the contests are as follows. My boys LOVE this movie! Oh I have to pick just one. hmmmmmm. My daughters favorite is Childrens Museum in La Habra. Thank you for your fantastic blog! You always have the greatest giveaways! I really enjoy The Bowers Museum in Santa Ana. I always have a great time when I visit. I decided to extend the Wii Fit Board until Friday. You still have a couple of more days to enter if you have not. Winners can email me at mom@daytrippingmom.com with their info. Thank you!